With hits like Sherry, Big Girls Don't Cry and Can't Take My Eyes Off You, audience members are surely guaranteed to recognise a song or two. Going to Jersey Boys is something else. 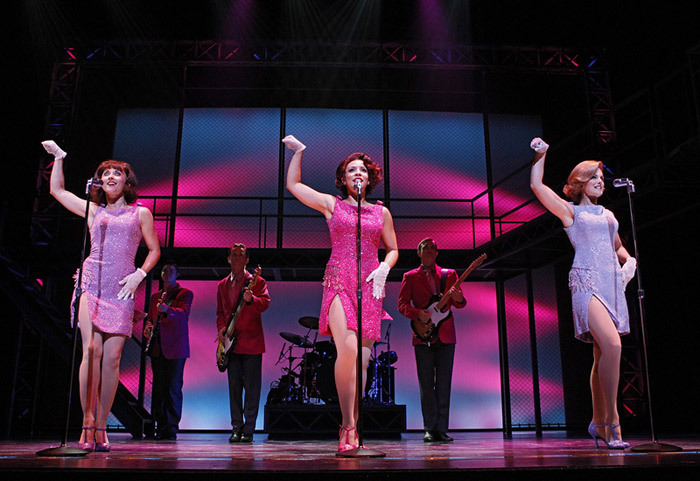 It is not a mere jukebox musical, but an unforgettable experience. Aside from the brilliant music, this production is slick. It's fast paced and has a wonderful script behind it. Tommy DeVito: "Walk Like A Man, as opposed to what, a woman?" Bob Crewe: "Look Miss Congeniality, it's a metaphor!!" The costuming is also fabulous. M and I were awestruck by those gorgeous gowns and impeccably tailored suits. Major kudos has to go to the extremely talented cast though. Graham Foote (Frankie Valli at this performance), Glaston Toft (underdog Nick Massi) and Lisa Adam (the struggling yet quick-witted Mary Delgado) are a few names who stood out. You do not want to miss this one folks. The show plays Tuesday-Sunday until the 17th of June at the Civic Theatre. Tickets can be booked via the Edge or in person at the box office. Thanks M for coming with me and Skip PR for our tickets! 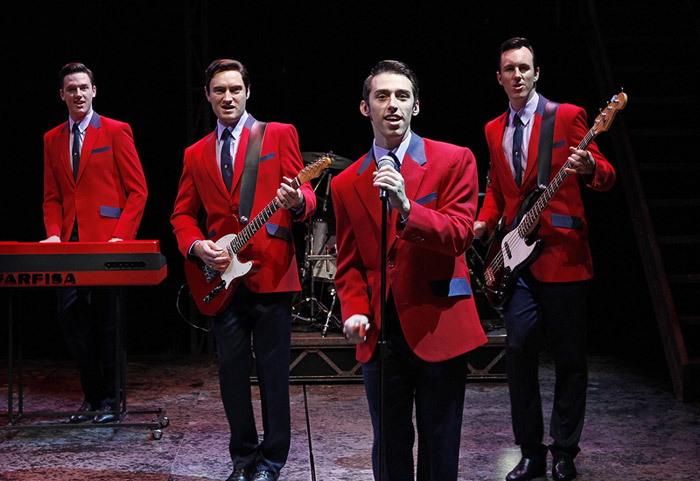 For more Jersey Boys head here or revisit this post for some Jersey sounds. Both production images are of the 2012 touring cast and were taken by Jeff Busby.